Sir Edward Burne-Jones was a British artist who made important contributions to Victorian art. He was a skillful artist and designer who was associated with Symbolism and Romanticism. He was also influential in the development of the Aesthetic and Art Nouveau movements. He started out as a watercolorist before he shifted to creating bigger and colorful paintings in oil. Together with his friend William Morris, they worked in the business of decorative arts, creating designs used for printed fabrics, mosaics and tapestry as well as glass windows. Sir Edward Coley Burne-Jones was born in August 28, 1833. He was a founding partner in Morris, Marshall, Faulkner & Co., a decorative arts business. Burne-Jones was heavily involved in the restoration of Britain’s stained glass art tradition. In fact he created several stained glass works, such as the windows at Staffordshire Moorlands, Brown Edge, St. Anne’s Church, Oxford, Christ Church, Cambridge, Jesus Lane, St. Michael’s Church, St. Martin’s Church, Holy Trinity Church, St. Philip’s Cathedral and more. His early paintings showed the influence of Dante Gabriel Rossetti, an English painter and illustrator, who, in 1848, founded the Pre-Raphaelite Brotherhood. 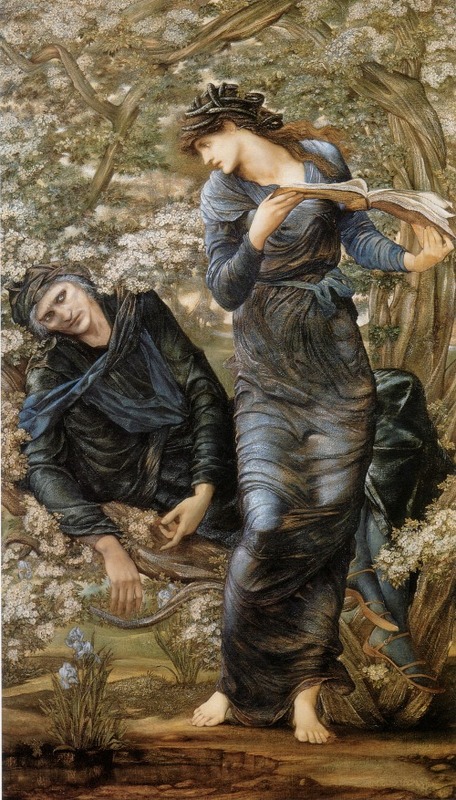 However, Burne-Jones found his own artistic style by the 1860s. In 1877, he exhibited eight oil paintings at the Grosvenor Gallery, where his work, “The Beguiling of Merlin” was included. This led him to he considered a star and forerunner of the Aesthetic Movement, which was still new at that time. 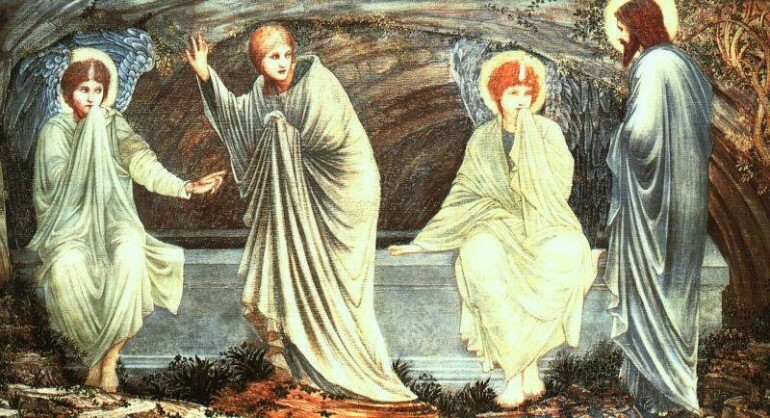 Burne-Jones was skilled in various crafts, aside from doing stained glass and painting. His body of work included creating book illustrations and designing mosaics, tapestries, jewelry and ceramic tiles. He created special woodcuts in 1896 for Kelmscott Press’s Chaucer. He was hailed as one of the leading designers and painters in England during the late 19th century. His romantic paintings employing medieval imagery were considered as Pre-Raphaelite style’s last reflections. He revived the artist-craftsman ideal, which was very influential in the development of industrial design in the 20th century. Rossetti became Burne-Jones’ teacher. He was very much in favor of Raphael’s natural compositions, classical poses and aesthetics, all of which he imparted to his student. The style was complemented by the vivid imagination of Burne-Jones, who was keenly interested in medieval chivalry stories. He did show his interest, in paintings like “Merlin and Nimue” and in “King Cophetua and the Beggar Maid.” The artist followed the style of his teacher’s illustrations but he drew inspiration from the works of Sandro Botticelli and Filippino Lippi. From 1877 when he exhibited some of his finest paintings up to the day he died in 1898, Sir Edward Coley Burne-Jones was one of England’s greatest painters. He was awarded the baronetcy in 1894. Most of the paintings Burne-Jones created were large canvases and he did several series of various themes. He also converted some of his stained glass and tapestry designs into paintings. The Southampton City Gallery has his Perseus Series while the Briar Rose Series now belongs to the Faringdon Collection at Buscot Park, The National Trust. It took nearly 30 years for the Briar Rose Series to be finished. It consists of four canvases that chronicle Sleeping Beauty’s story.